Take a look at a selection of recent press coverage for Liz Earle Wellbeing. For all press enquiries, please email PR@lizearlewellbeing.com. Liz explains everything you need to know about the menopause on Sheerluxe. Liz shares her experiences of taking HRT in Good Housekeeping. Get the Gloss announce the launch of Liz’s new e-guide The Truth about HRT. Woman and Home feature Wellness with Liz Earle as one of their top ten podcasts of the year. Liz is interviewed as Fiona Lawson’s Health Hero. Liz shares her top tips for the menopause with Luxe magazine. The Thinking Country blog spoke to Liz about her top health and wellbeing tips, and her experiences running a grass-fed, organic farm. Liz’s top five budget-friendly wellbeing habits for the New Year have been covered by over 50 regional titles including Irish News.com. Liz shares her top wellbeing tips with The Telegraph. The Times quotes Liz on the menopause and alcohol in a piece on hangover cure tips. Liz received a lovely write up of the new season of the podcast series from the Beauty Bible. Liz shares a recipe from the Liz Earle Wellbeing Yearbook Volume 2 with the Good Web Guide. Liz shares her thoughts on the huge value of podcasting with the Chartered Institute of Marketing. Liz shares her warming winter food tips with Age UK. Liz shares her top lifestyle tips with The Times. In The Telegraph, Liz shares her tips for avoiding a ‘skin hangover’ and staying fresh-faced this festive season. Liz shares her tips for creative Christmas table decorations in The Telegraph. Liz shares her turmeric coconut latte recipe from the Liz Earle Wellbeing Yearbook Volume 2 with Get the Gloss. Liz shares her top five tips for wonderful winter skin with Red. Liz’s top tips for how bring a touch of nature to Autumn dining and host the perfect rustic feast have been covered in newspapers across the UK and can be found here. BBC Countryfile visited Liz on her West Country farm, where she took them on a tour. Watch the episode here. Find Liz’s recipe for ginger nutty slices from Liz Earle Wellbeing Yearbook 2 over on Detox Health Beauty. Liz shares her favourite natural brain-boosters with Get the Gloss. Liz talks to Farmers Guardian about the benefits of seasonal produce and shares her caramelised apple lattice pie recipe. Liz voices her support for the British Library on Start Up Day 2018. Read the wellbeing tips Liz has shared with Age UK. In the Northern Echo Liz explains how ‘free-from’ foods put profits over principles and could be bad for your health. 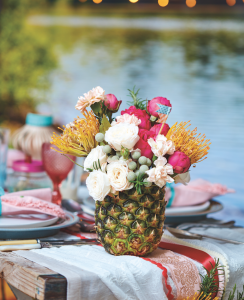 Liz’s top tips for throwing the perfect summer garden party were covered in regional press across the UK, including the Manchester Evening News, the Leicester Mercury, the Belfast Telegraph and the Gloucestershire Echo. Liz tells Harper’s Bazaar what it’s really like to be a wellbeing expert. Liz joins seven other high-flying business founders in recommending her favourite leadership book for NatWest. In this Get The Gloss post, Liz separates fact from fiction on HRT. Read Liz’s tips for maintaining great gut health in the Irish Examiner. Liz shows Woman&Home how to eat well with oil. In The Sunday Post, Liz encourages women to break the silence around the menopause, and explains how to embrace it instead. Liz shares her journey into running and her advice for new runners with Runners World. Liz shares her personal wellbeing tips with Wellbeing Escape’s Quick Escape magazine. Read it on pages 28-29 here. Liz shares the 10 healthy habits she’s gained in the last 10 years on Get the Gloss. Detox Health Beauty blog share Liz’s five top wellbeing tips. Read them here. Liz was featured on ‘Startups’ alongside other renowned entrepreneurs talking about why now is a great time to start a business in the UK, watch the video here. Liz shares the best workouts for the menopause with Prima, highlighting which exercises can help beat menopause symptoms. Liz shares her wellbeing tips on the Kensington Mums blog. Liz is interviewed for the ‘Emotional Ties’ column in The Mail on Sunday‘s You magazine, where they feature a selection of her treasured possessions. Read it on the Daily Mail Online here. Get the Gloss interview Liz and Lily about working together at Liz Earle Wellbeing. The Duchess of Cornwall invited Liz to Clarence House International Women’s Day – read about it on Daily Mail Online. Hello! magazine shares Liz’s favourite foods for the menopause from her new book, The Good Menopause Guide. Image magazine share’s Liz’s menopause-friendly Thai-Spiced Soup from The Good Menopause Guide. Fashion and Beauty Insight announce Liz Earle Wellbeing‘s new publishing deal with Hearst UK. Pebble Magazine include Liz’s Mangrove Heart Stud Earrings in their Valentine’s gift guide. 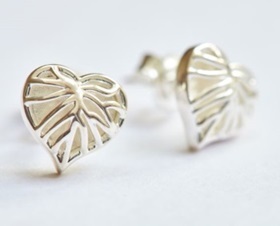 Fairtrade Foundation includes Liz’s Mangrove Heart Stud Earrings in their Valentine’s round up. 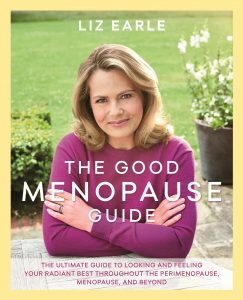 Liz’s new book the Good Menopause Guide is serialised by the Daily Mail and Mail Online. Liz Earle explains why she works with the Fairtrade Foundation in the Retail Jeweller. Retail Jeweller report on Liz’s new Mangrove Heart Stud Earrings. Looking for a healthy weekend meal? Period Living share a delicious recipe form the Liz Earle Wellbeing Yearbook, Volume Two. Detox Healthy Beauty chat with Liz about her wellness secrets and plans for the future. Liz shares 8 ways to make your home office a haven of wellbeing in Ideal magazine. Absolutely meets entrepreneur and wellness guru Liz Earle to find out what she’s doing having now left her eponymous beauty brand behind. Plan for success this January with Liz Earle in Get the Gloss. Liz discusses the power of being a startup brand with heritage, the importance of trust and social media with Marketing Week. The Metro share why 2018 is the year to bin the faddy diets and focus instead on your gut health. 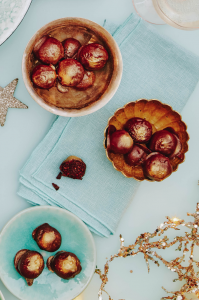 Get the Gloss share Liz’s wellbeing Christmas pudding recipe. The Real flower Company share how you too can use Christmas flowers to boost your wellbeing. Get the Gloss share Liz’s top winter skin and wellness-boosting foods. The Pool discovers what Liz has in her makeup bag. The perfect festive sweet snack on Cocos Tea Party. Liz shares a mouth-watering recipe from her Yearbook Volume 2 for a Christmas pudding bursting with goodness – The Good Web Guide. Liz talks all things Wellbeing and her success in the business world on the Trans World Radio show. Hungerford Townsite chats to Liz about wellbeing, farming and being a mum in business. Liz is Guest Editor for The Good Web Guide – see her Guest Editor Interview here. Liz interviews on Chat and Spin radio with Tessa Williams. Get The Gloss share Liz’s delicious recipe for pancetta and root veggie gratin from her newly released Yearbook Volume Two. 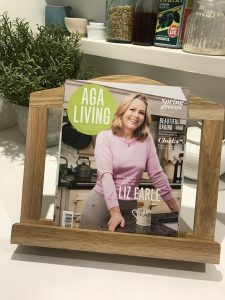 That’s Not My Age explore ‘What Liz Earle did next…’ where Liz discusses going back to her first-love, which is research and writing about health and wellbeing. Liz lets Get the Gloss know her top 10 tips for a healthier, happier working environment. Mother Love – Liz and Lily assist a campaign with the National Osteoporosis Society with the Sunday Express. It’s official – you can grow your own skincare in the comfort of your back garden, yard or on a balcony, and it’s super simple. Liz shares her favourite homegrown great skin ingredients and recipes with Legology. Liz gives The Stylish Stuff food for thought. Get The Gloss share how Liz makes her own kombucha. Liz shares her belief that “The older generation adds so much value to the workplace in any context” with In Cumbria as they explore the surge of businesses run by the over-55s. Cambridge News discuss the 140 per cent increase in the number of business owners aged 65 and over in the last decade. Your chance to win a Liz Earle, Fair and Fine Wild Rose bracelet on Flowerona. Coco’s Tea Party share Liz’s career lessons. Just announced – Liz Earle MBE to judge Startups Award 2017. Liz reveals how good gut health is her secret to a clear complexion on Get The Gloss. Liz explains how good gut health has the power to totally transform the way we look and feel with The Gut Stuff. Liz shares the dangers of using synthetic sunscreens and what she prefers to use instead with The Independent. The Telegraph shares advice for hosting the ultimate garden party, including Liz’s tips on setting the scene with a theme and homemade decorations. MyGreenPod, The National Association of Jewellers, Professional Jeweller and Jewellery Focus all report on Liz’s Fair and Fine jewellery collection pop-up window at Liberty London. Liz invites Lily Pebbles & Anna Newton into the Wellbeing studios for their At Home With… podcast series. Following her departure from Liz Earle Beauty Co, Liz writes for The Huffington Post as she reflects on the last 22 years and looks forward to the next chapter. Red magazine reveals Liz’s top five favourite foods to detox, nourish and cleanse the digestive system and improve our inner health and outer beauty. Liz’s gut friendly sauerkraut recipe from her new book, The Good Gut Guide, appears on Get the Gloss. Mother & Baby shares two delicious recipes from the Summer edition of Liz Earle Wellbeing magazine, a Mediterranean traybake and plum tomato, fennel and lemon linguine. Liz shares a selection of delicious gut-friendly recipes from The Good Gut guide with Red. Liz is quoted in The Sunday Telegraph’s ‘midlife health checklist’, as she explains the importance of healthy gut bacteria for smoother, clearer skin. The Telegraph joins Liz at home on her West Country farm to talk about organic farming and the importance of living sustainably and eating well, as part of her role as a Love British Food ambassador. 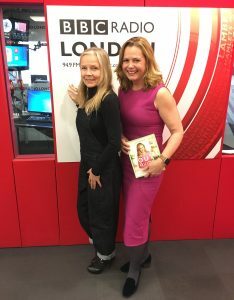 Liz talks to BBC Radio London‘s Jo Good about the upcoming release of her new book, The Good Gut Guide. Diamonds and Daisychains talks to Liz about all things botanical and ethical, and her Fair & Fine Botany Collection jewellery range. Liz is interviewed by Time and Leisure about building her brand and the up-coming release of her new book, The Good Gut Guide. Liz talks to Woman Alive about healthy living, giving back and celebrating Easter. The Evening Standard, The Telegraph and The Daily Mail announce that Liz is leading the National Osteoporosis Charity’s ‘A Message to My Younger Self’ campaign. The Mail on Sunday shares Liz’s tips for healthy gut health with an exclusive preview of her new book, The Good Gut Guide. Liz is named by The Caterer as an ambassador for Love British Food, following the announcement at an industry lunch with chef ambassador Raymond Blanc. Liz talks to Qnola about her personal beauty hacks and the day-to-day rituals that keep her going and glowing. Healthista review Liz’s SKIN book in their pick of the four best books for beautiful skin. The Irish Examiner includes our Liz Earle Wellbeing Yearbook on their list of books for a healthier 2017. Liz joins Jenni Murray for Woman’s Hour on BBC Radio 4 to talk about her Liz Earle Wellbeing ventures, as part of their ‘My name is my brand’ series. Liz talks to The Press and Journal about the importance of hydration and what we can all be doing to protect our oceans. Irish Times features our Liz Earle Wellbeing Yearbook as part of their January health issue. Liz is named by Reloved as one of the hosts of The Handmade Fair, which will take place at Ragley Hall from Friday 12th to Sunday 14th May 2017. In Women’s Health, Liz shares her recipe for a homemade face mask to restore tired, stressed and chapped skin. Liz joined Good Housekeeping’s Beauty Director, Eve Cameron, for a Facebook Live Q&A where she shared skincare tips and talked about her brand new Yearbook. Liz’s SKIN book features in the Irish Independent‘s round-up of the “best beauty books to give as presents this year”. Vogue run a feature on winter health and beauty, and Liz’s tips on how to eat your way to better skin. The Telegraph feature Liz in an article on juggling career and children, as well as her beauty must-haves and tips for wellbeing. Liz speaks to The Times about the beauty of starting your own business. Liz talks to Evan Davis, host of the BBC’s The Bottom Line, about nurturing and then selling off a business. Liz’s tips for glowing skin, including her ultimate dos and don’ts, feature in the Irish Examiner. Liz’s top 10 golden rules for achieving ‘glowing, flawless skin’ appear in the Daily Express. The Bournemouth Echo run a story about Liz’s involvement in the Great British Beach Clean. The Daily Mail feature Liz as one of Naturya’s Super 6 – six health and wellbeing experts who advocate certain foods to give our immune systems, our memories and our moods a boost. Red magazine share a number of skin-friendly recipes from Liz’s new, best-selling SKIN book. The Northern Echo – among many other regional publications – run a story on how bottled water is damaging our planet, featuring thoughts from Liz as an ambassador for Brita. The Daily Mail run a supplement series with Liz’s SKIN book advice over the August bank holiday weekend. Read Monday and Tuesday here. SW Resident magazine feature an interview with Liz in which she shares her skincare secrets, wellbeing tips and why she loves Battersea. Luxury London publish an interview with Liz in which she talks about her life, including business challenges, her family and splitting time between town and country. The Pool quote Liz – in her capacity as an ambassador for sustainability – on the scandal of Britons using 7.7 billion single-use plastic water bottles each year. Liz Earle winning Best Jewellery Collection 2016 at CMJ’s trade show features in Jewellery Outlook. South West Business report that Liz’s ethical jewellery line has launched in John Titcombe Jewellers, Bristol. Liz’s Fair and Fine jewellery collection is profiled in FemaleFirst, Viva Manchester and Beauty and the Dirt in the lead up to Valentine’s Day. The Huffington Post features an article by Liz on her Fair and Fine range, and the ethical jewellery business in general. The Daily Express publishes an article on how you can “get into shape with This Morning star Liz Earle”. Professional Jeweller announces Liz as winner of both the Emerging Designer award and the Ethical Jewellery award for her Fair and Fine Botany Collection. Good Housekeeping features Liz in an article about her top tips to running a successful business. Vogue features Liz’s Cauliflower and Almond soup in the Arts and Lifestyle section on their website. The Daily Express runs a piece on their website about how TV chefs have “Christmas food all wrapped up” this year, including Liz on her Inside-Out Beauty segment on This Morning. Bristol Business News Online reports on how Liz will host the South West Fairtrade Business Awards in 2016. The news that Liz will host, and mentions of her line of Fairtrade jewellery, also features in Swindon Business News Online, Business Leader, Destination Bristol and Bristol Fairtrade among other regional titles. Attire Accessories features news on Liz’s Fair & Fine Botany collection. Yours magazine features Liz’s grilled pumpkin recipe in their Health & Lifestyle section. HELLO! 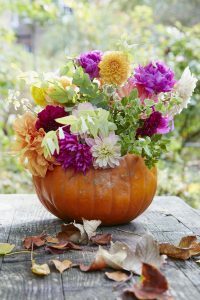 magazine features Liz’s ways to make the most of your pumpkin in their article Pumpkin: 6 health benefits and how to make the most of it this Halloween. Beauty Bible celebrates Liz’s return to This Morning with a series on ‘Inside-Out Beauty’. Africa Fashion, in a piece called Fairtrade gold is the fashionable choice, talk about Liz Earle’s fairtrade jewellery line, Fair and Fine, and the UK’s first fairtrade jewellery press launch that Liz attended on 15th October. The Huffington Post publishes an article in which Liz Earle discusses why she is putting her name out in the jewellery world to back fairtrade gold. The fashion team at Harper’s Bazaar feature the new Liz Earle Fair and Fine Neroli Necklace as one of their top fashion finds of the day. Liz Earle MBE is listed in CMJ’s announced line up of speakers at the up coming 2015 UK Jewellery Business Conference. Twenty Six Style celebrates the launch of the new Liz Earle Fair and Fine jewellery collection. Exclusive magazine talks to Liz Earle on the beauty of wellbeing. View their digital magazine here and read Liz’s interview on page 43. Our delicious Five Ways with Ginger recipes, from Liz Earle Wellbeing magazine, are featured in Yours magazine. Liz’s Autumnal Grilled Pumpkin with Green Pumpkin Seed Dressing is enjoyed and shared by Yours magazine. Professional Jeweller announces that Liz will “join a panel of industry experts discussing the merits, challenges and opportunities of the Fairtrade business” at next month’s International Jewellery London. Harpers Bazaar featured Liz’s five weekday suppers – sharing healthy and delicious ways to eat well every day. Red share Liz’s master class on how to throw the perfect summer dinner party. Look magazine share the best batch cooking recipes to get yourself ready for the week ahead and include Liz Earle’s Bean Salad with Grilled Courgettes. 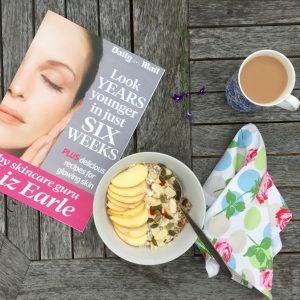 Liz Earle talks about the importance of what we put into our bodies to be beautiful for the inside out, which is featured in the Richmond, Wandsworth and Clapham magazines. Essential Surrey feature an inteview with Liz on the importance of inner beauty and wellbeing. Beauty Bible help you stay well in botanical style over the summer with Liz’s top herbal remedies to keep in your travel bag. Liz speaks about her career so far in the Cheshire and Kensington & Chelsea magazines. Click the link here for the digital magazine and turn to page 30 to read more. Female First rates Liz’s seafood with a salpicon dressing recipe as a deliciously easy week night supper. Yours magazine features craft ideas to accompany al fresco dining from the Summer 2015 Liz Earle Wellbeing magazine. Harpers Bazaar interviews Liz to find out her secrets to success and managing a busy work/life balance. Red features our delicious nettle soup and pesto from the Spring 2015 edition of Liz Earle Wellbeing magazine. Staffordshire University releases their Honours List, Liz Earle will be receiving an Honorary Doctorate. The Guardian interviews Liz on building a success business and the importance of work-life balance, creating strong business relationships and taking your time making big decisions. Graham & Green feature two delicious juice recipes from Liz’s Juice book on their blog, The Intrepid Curator. Liz shares with Condé Nast Traveller her top insider tips for visiting the Isle of Wight. Beauty Bible shares delicious, seasonal ways with nettles from Liz Earle Wellbeing‘s Spring 2015 issue. Yours magazine share Liz’s crafty idea on how to make your own duck egg candles for your table or mantelpiece. Bitten magazine’s feature ‘Raw Power’ includes quotes from Liz’s book Juice, where she talks about the health benefits of incorporating ‘high vitality’ raw vegetables into our diets. Psychologies magazine cut through the hype and discuss the benefits of juice shots, featuring advice from Liz’s Latest book, Juice. Closer magazine recommend Liz’s cleansing one day juice fast as the best way to kick-start a healthy regime in time for summer. The Huffington Post reports back on an evening with mumpreneurs at The White Company where Liz was a guest speaker. Liz’s shares her best food tips learnt from her mother and her favourite cakes to bake this Mother’s Day with HELLO! magazine (Almond and rose petal mini muffins & Fat-free rose and berry sponge cake). Liz’s new Juice book features in Sheerluxe’s ‘Mother’s Day Gift Guide 2015′. Liz shares with BBC Good Food the five top foods to improve your complexion. GlossyBox feature Liz’s ultimate skin-saving juice recipe, the ‘Plumper Skin Perfector’. The Guardian introduces the judges for The Observer Ethical Awards 2015 – Liz being one of them! 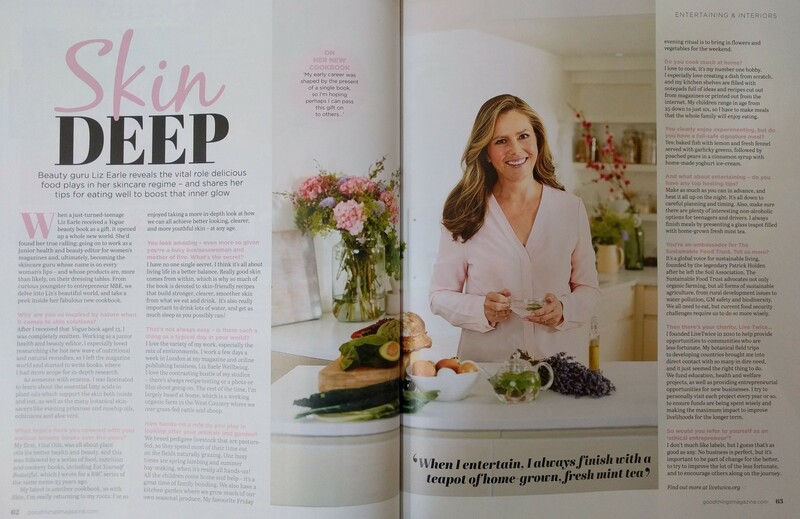 Good Housekeeping feature a lovely piece on Liz and how you can ‘Juice you way to glowing skin’. Liz’s new book Juice is recommended by My Daily as one of the best out there for delicious, easy-to-follow juicing recipes. The Gloss magazine advocate a healthy approach to detoxing in their ‘Detox Diary’, featuring advice and tips from Liz. Xanthe Clay interviews Liz about the health benefits of juicing and gives her new book a glowing review in The Telegraph. You magazine feature a six-page special from Liz’s new book Juice. InStyle.co.uk features the Liz Earle Wellbeing digital magazine in their top 5 beauty apps for the festive party season. Liz shares her top zen tips for a stress-free Christmas with Grazia. Mumsnet features Liz’s favourite Botanical Christmas cocktails and party punches from Liz Earle Wellbeing magazine. 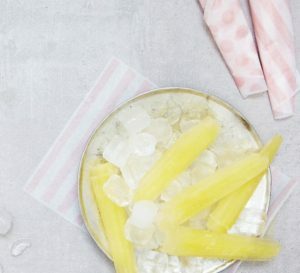 Get the Gloss feature Liz’s party-perfect canapé recipes for the festive season, from Liz Earle Wellbeing magazine. 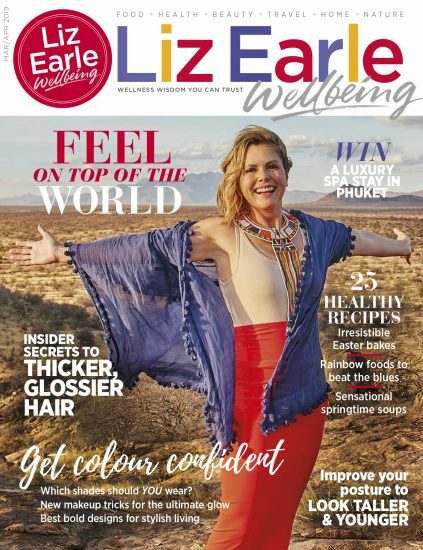 Get the Gloss announces the launch of the Liz Earle Wellbeing magazine. Interview with Liz in Hampshire Life on how her successful beauty business has become a platform for promoting causes close to her heart. The Irish Independent on Liz’s recent Q & A event in Dublin with Image magazine. Watch Liz on Ireland AM launching the Liz Earle Rose Pelargonium Necklace by Boodles. The Irish Times reports on Liz’s keynote speech to business leaders at CBI Northern Ireland’s annual lunch. Portsmouth University’s UPdate magazine asks Liz about her honorary degree, getting started in the industry and advice for students. Find out what’s in Liz’s beauty bag in her interview with online magazine High50. Three delicious green juice recipes and a video from Liz on Healthista.com. Neil Darwent, Outstanding Farmer of the Year in this year’s BBC Food and Farming Awards, talks about his recent filming with Liz for Free Range Dairy. Deepinmummymatters.co.uk reports on Liz’s talk at a Microsoft evening for working mums. Liz reports on a new survey that shows becoming a mother makes women better at their job in the Daily Mail and in Mother and Baby. Liz talks to BBC Radio 5’s On The Money programme about her biggest mistake in business and best advice for aspiring entrepreneurs. Liz talks to mybaba.com about life in the country and her favourite family recipe. The Beauty Shortlist interviews Liz on wellbeing, LiveTwice, desert island must-haves and advice for a good life. Find out who else is sitting alongside Liz on the panel of judges for The Observer Ethical Awards 2014. Liz’s festive mulled wine recipe appears in the Daily Mail and Reveal magazine. Read Liz’s top tips for a calmer Christmas in the Sunday World. Liz explains why beauty is about confidence for TV3. Groomed & Glossy takes a look at Liz Earle Wellbeing. Liz’s top tips for dry winter lips in Cosmopolitan. 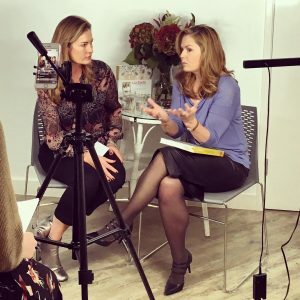 ‘Liz Earle’s all about wellbeing’ says Jo Fairley at beautybible.com. Ideal magazine shares Liz’s advice on the benefits of a glass of red wine and her recipe for mulled wine. Enjoy a snippet of Liz’s interview in The Simple Things and find out the origins of her passion for natural beauty. Grazia‘s online team welcomes Liz’s new wellbeing venture and bookmarks our website. Liz reveals her six favourite books in the Daily Express. Discover Liz’s juicy secrets in Stella magazine. Find out whose style Liz most admires in her Q & A with Country & Town House magazine. Liz recalls perilous travels in Uganda and husky-sledding in the Arctic in the Daily Telegraph. Looking for a quick lunchtime salad with added skincare benefits? Read three delicious suggestions from Liz in Zest. Find out how Liz juggles life as an entrepreneur, farmer, mentor and mother in The Huffington Post. Why a little bit of sun will do your bones some good in The Irish Times. Liz describes her perfect weekend in the Daily Telegraph. Find out what’s in Liz’s wardrobe in the Sunday Express. 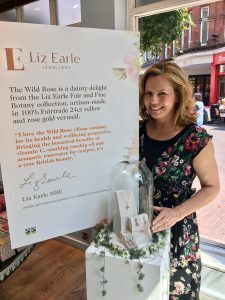 Liz Earle unveils ‘second chance’ charity LiveTwice on theupcoming.co.uk. A few pictures from the LiveTwice launch party in Tatler.